It takes a team of industry experts with knowledge of changing healthcare laws, regulations, compliance requirements and patient safety concerns. It requires dedicated, senior sales pros with the ability to engage C-level execs in meaningful conversation around the challenges related to delivering quality, cost-efficient care. And it takes access to a ready, robust prospect database unparalleled in its scope, accuracy and segmentation abilities. Healthcare solution providers that recognize what’s required for lead generation success get better market coverage, improved industry intelligence and more sales opportunities. 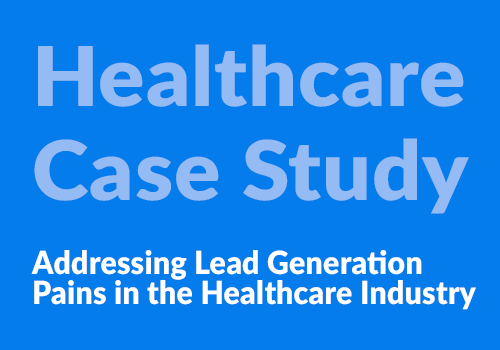 Increasingly, the source for lead generation services in the healthcare industry is PointClear. Read how clients are benefiting from their association with this Atlanta-based prospect development firm and learn more about the results they’ve achieved.